ZP5 rotary tablet press is a miniaturized tablet press, which is mainly used for small-scale tablet production and technological research in pharmaceutical, chemical, foodstuff, electronics and other industrial sectors. ZP5 rotary tablet press is an important equipment of determining whether the granular materials can be pressed into tablets. 1. 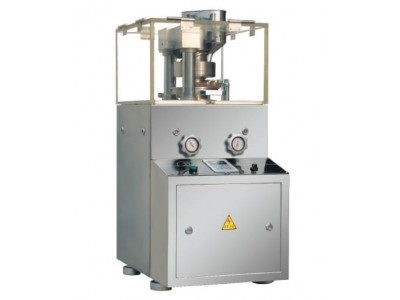 ZPS5 Rotary Tablet Press is a miniaturized tablet press, which is mainly used for small-scale tablet production and technological research in pharmaceutical, chemical, foodstuff, electronics and other industrial sectors. ZPS5 Rotary Tablet Press is an important equipment of determining whether the granular materials can be pressed into tablets. 2. ZPS5 Rotary Tablet Press meets the requirements of GMP standard. 3. 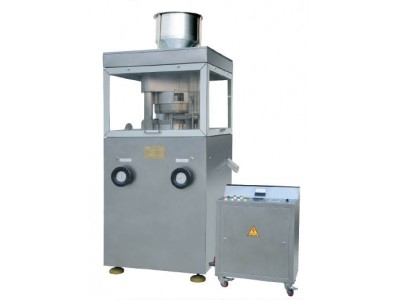 ZPS5 Rotary Tablet Press is suitable for pressing granular materials that can be pressed into tablets (within the pressure range of ZPS5 Rotary Tablet Press) and that contain no more than 10% powder (over 100 meshes). 4. ZPS5 Tablet Press is suitable for pressing 5-20 mm round and special shaped tablets with characters and patterns. 5. ZPS5 Rotary Tablet Press is not suitable for semi-solid, moist particles, low melting point, moisture absorbent raw materials and powder materials without particles.